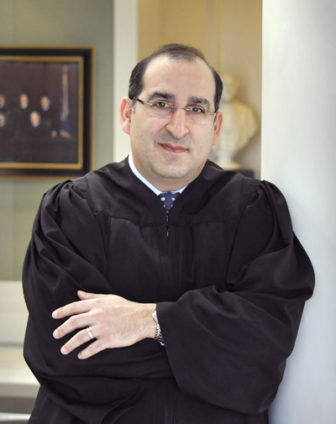 When appointed to the Supreme Court by Governor Rick Snyder on Feb. 27, 2013, Justice Viviano had been a judge of Macomb County’s Circuit court since his election in 2006. He was appointed chief judge of both the Circuit Court and the Macomb County Probate Court by the Supreme Court in 2011. Justice Viviano was selected to test jury reforms in 2010-2011, and was subsequently honored with the G. Thomas Munsterman Award for Jury Innovation. Prior to becoming a judge, Viviano worked at nationally-recognized law firms in both Detroit and Chicago, later founding his own firm in Mt. Clemens, MI (Viviano and Viviano PLLC), and serving as city attorney for Center Line, MI. He graduated from Hillsdale College in 1994 with highest honors, and from the University of Michigan Law School in 1996.